The red kettle of the Salvation Army has practically become synonymous with the holidays and a reminder that others are in need during this time of year. Though a recent trend shows that people aren’t just giving spare change. Some are donating expensive jewelry instead. 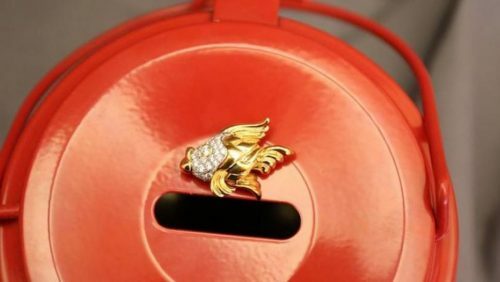 The Salvation Army of Boston says that anonymous donor wanted to give a golden fish pin. The fish features 18-karat gold and 32 diamonds. When it was purchased nearly 20 years ago, it was valued at just under $5,000. It stands to reason that people would donate jewelry. Many of us have expensive pieces of jewelry occupying space in a dusty jewelry box when it could go to better use. So happy holidays and kudos to all you jewelry lovin’ charitable folks out there!